Trail King Mechanical and Hydraulic Gooseneck Lowboy Trailers - Kingpin Trailers LTD. When it comes to hauling your heavy equipment to the job site or remote locations, having viable transportation solutions on hand is a necessity. Kingpin Trailers is a leading supplier of hauling and transportation options for Western Canada, and is proud to offer feature the best brands on the market in our inventory. Learn more about heavy equipment trailer solutions, as well as our latest models in stock below. 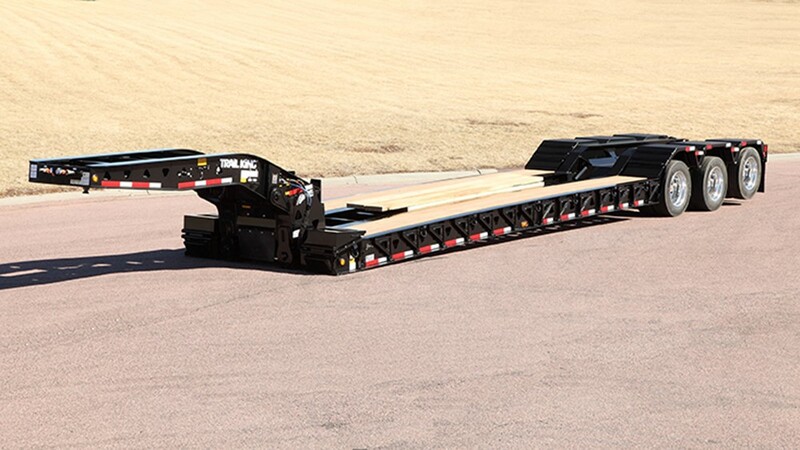 As an industry staple, lowboy gooseneck trailers offer a wide range of benefits to those oil & gas, construction, heavy equipment, forestry, and demolition sectors. The trademark low profile makes loading and unloading simple, as well as gives the added benefit of being able to carry legal loads up to 12ft tall without exceeding height limits. A sturdy centre of gravity allows keeps loads balanced and secure during transport, and reduces the risk of on the road mishaps. Depending on your specific needs, there are two main categories of lowboy gooseneck trailers: mechanical and hydraulic. Mechanical Goosenecks, as the name suggests, connect manually and tend to be lighter than their hydraulic counterparts. The simplicity of a mechanical lowboy’s design makes attaching the trailer easy, and certain models are foldable for added convenience. Because of their lighter frame, mechanical goosenecks are well-suited to over-the-road trucking where heavy loads need to remain on the trailer for long distances or periods. Hydraulic Goosenecks utilize the convenience of hydraulic cylinders to attach and disconnect to your truck. 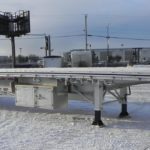 While the hydraulic system does tend to make these models heavier, the trailers tend to be a little more forgiving with loads and make it easy to liz and lower the deck as needed. Extremely versatile in application, optional extensions like beavertails make rear loading a possibility when needed. This brand new 2019 hydraulic detachable gooseneck trailer comes ready to go and is capable of handling loads up to 80,000 lbs. The tri-axle frame is built road-tough and made to withstand the demands of heavy use. Featuring 22.5 tires, a LED light package, D-rings, J hooks, and 3 bar strap winches, the trailer is sure to help you get your equipment where it needs to go. Contact our team now to learn more about trailer specs, as well as availability in our Edmonton, Calgary, Vancouver and Winnipeg locations. 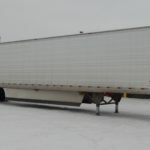 Brand new and ready to hit the roads, this dual axle 2019 mechanical detachable gooseneck model offers plenty of features for your convenience. Capable of handling 70,000 lbs in the first 16 feet of the trailer, the mechanical deck is 9’10”. The aluminum package makes for a lighter frame and includes aluminum cross members, outer rails, front and rear channel, and pullouts. For more information about this model, as well as our regularly updated inventory, please contact our team.